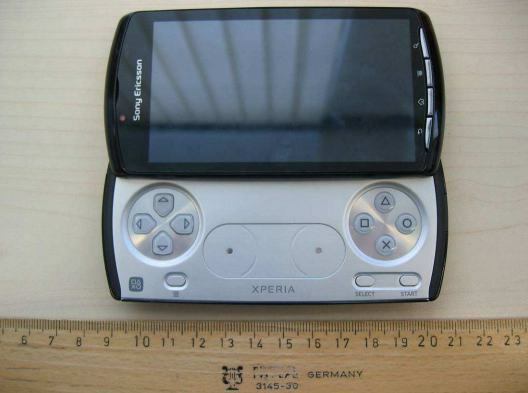 We're all familiar with this handset by now, but what we weren't suspecting (although we have yet to finish our first cup of coffee) to see a GSM version of the Xperia Play come through the FCC this sunny Tuesday morning. While we know that Verizon won't be the sole carrier of the phone in the states (we heard that from Sony Ericsson CTO Jan Uddenfeldt himself), there is yet to be another carrier confirmed. So maybe this is an indication of another possible future? Or, most likely, this is just one of those "north of the border" jobs -- as you know, the FCC gets its look at all Canada-bound phones, and this particular phone is exclusive to Rogers. Get a closer look after the break. Update: Further examination of the docs reveal that this bad boy has global GSM bands and 900 / 2100MHz 3G, which is primarily used in Europe and Asia.